A range of one day photography courses and photo workshops at stunning locations in the Peak District National Park, Derbyshire and Sheffield area. Whether you have just bought your first digital camera and want to learn the basics of digital photography, want to learn how to get off the auto modes and start using your camera more creatively, or are moving up to the world of digital slr photography, Peak Digital Training can offer a variety of courses to help you improve your techniques and develop your photography skills. 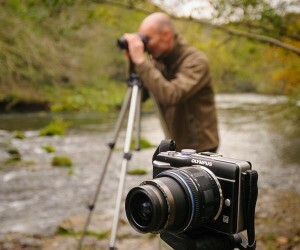 See here for details of all our forthcoming digital photography training courses. See what some of our other clients have to say about our courses here. 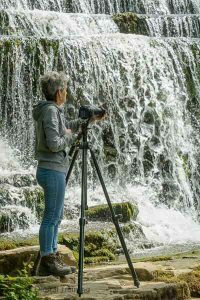 We also run occasional courses on more specific topics such as sunset and night photography, wild flower photography, photographing waterfalls and training courses specifically for owners of Nikon digital slrs. Please see here for the all the one day photography workshops that we currently have planned. Most of these courses are suitable for anyone with a camera that has manual modes – whether it is a digital slr, mirrorless, bridge or compact camera. The make of camera is unimportant – we have taught users of over a hundred different Nikon, Canon, Sony, Panasonic, Fujifilm, Olympus, Pentax, Samsung, Casio and Kodak models. Our emphasis is always on teaching solid photographic techniques, rather than about lots of technical jargon and accessories. All you need bring for these courses are your camera, its instruction manual, and enough memory cards and batteries for the day. A tripod is also useful – though not essential (and we can lend you one if you don’t already have one). In addition, please bear in mind that we will be outdoors, and a certain amount of walking – sometimes over rough ground – will be involved, so stout footwear and appropriate outdoor clothing is necessary. However, the walking will not be strenuous, and will be suitable for anyone who is reasonably fit. If a full day of photography training in the field is more than you require, we may also be able to divide the day between taking photographs and editing them with software such as Adobe Lightroom or Adobe Photoshop. These courses give an overview of each stage of taking and editing digital photographs, and are particularly recommended for those new to digital photography, who would like to learn how to get their photographs to the next level but are unsure where to start. If you would like to be the first to know when we announce new course dates, you can sign up for our email newsletter here.